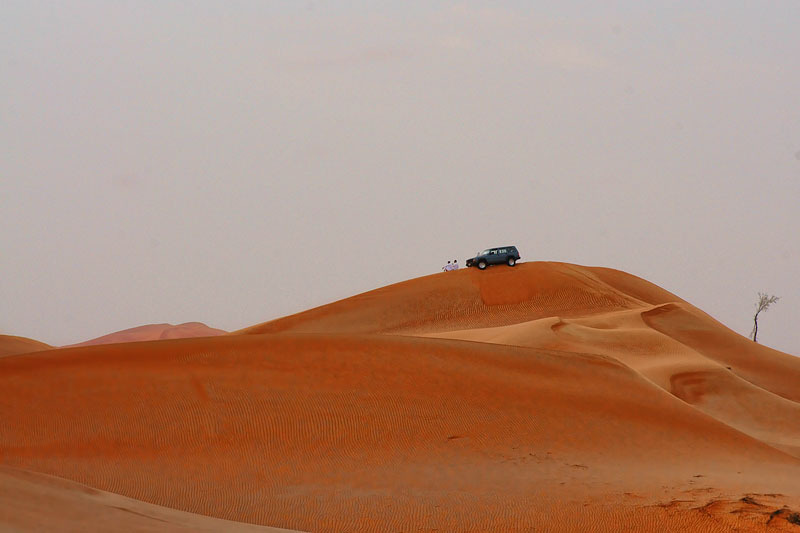 It is always an adventure going to the desert…..the very thought of being able to be there with the huge sand dunes, experience the strong wind blowing, listen to the sounds of nature, and have life slow down a bit ….the experience is soothing and rather priceless!! Firstly you have absolutely no idea what you will encounter, there is always something happening there, you just have to be able to find it. The Camel herders are perhaps one of the more common sights that you will come across as you start venturing into the desert. Being able to capture a picture of them just waking their herd of Camel, or against the backdrop of the large dunes is very satisfying, (although it would be a whole lot better of there were’nt so many tyre tracks on the dunes…that’s man announcing his presence there too). Some others prefer to watch the sun go down with a birds eye view of the desert. 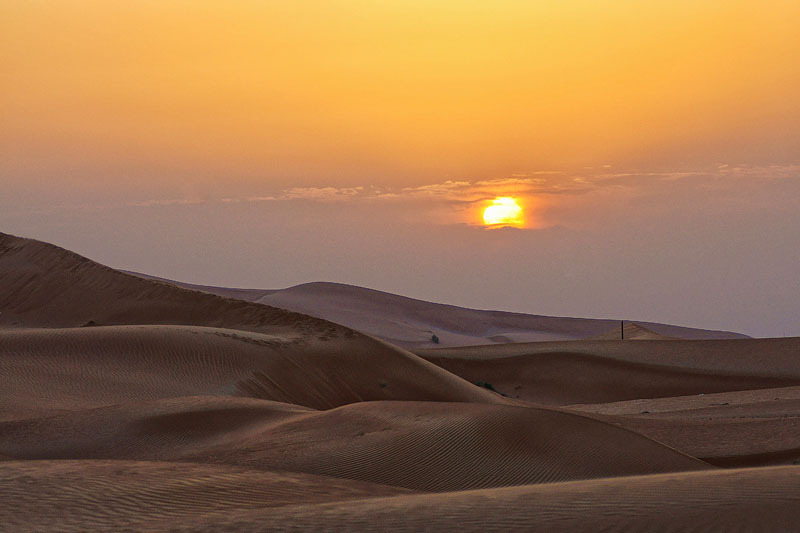 It does make for some spectacular viewing, and must have been as challenging for them to make the trip up there (and down later on in the dark), as it would be satisfying for them to just sit there and watch the sun sink into the golden dunes. The light slowly slips away, another day has passed. Its time to bid farewell to these dunes, and get ready for the long drive back home. 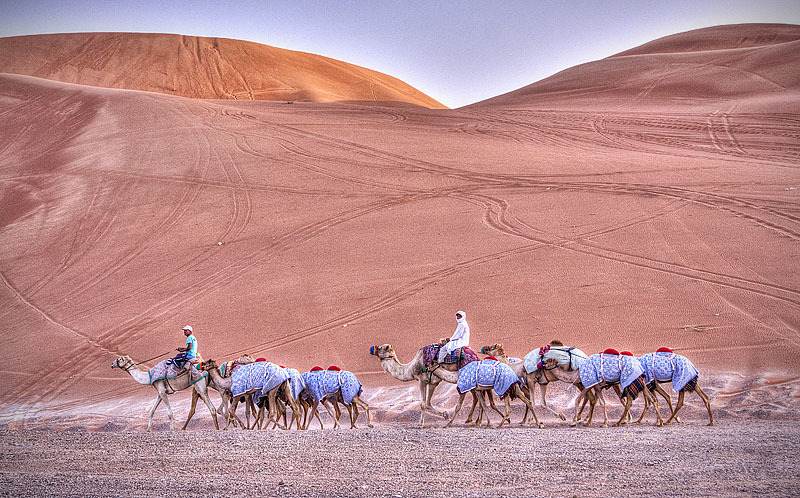 This entry was posted in Landscape, Tradition & Culture, Travel and Leisure, Uncategorized and tagged Camels, desert, Dubai, dunes, herders, sun, travel, tyre, United Arab Emirates, wind on September 14, 2014 by pkphotography. With the climate cooling down its the perfect time to travel to the desert to get some good pictures of the culture around us. 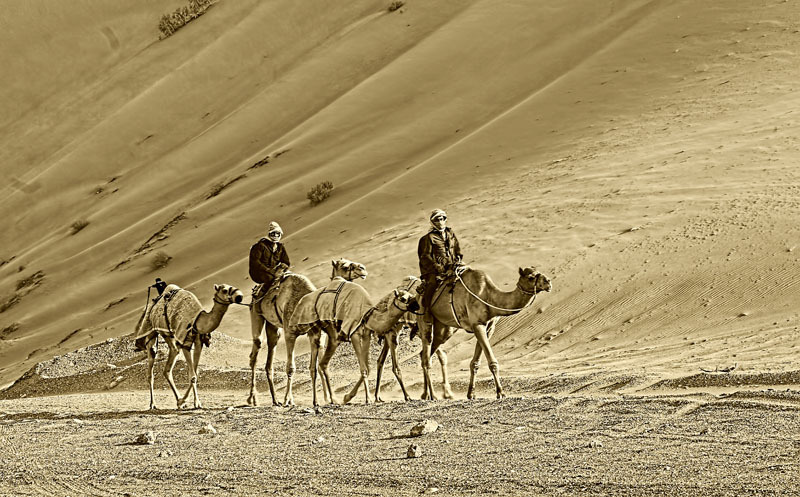 With a little bit of patience and perseverance, and the fact that you may actually have to venture into the off-beaten track, you can find the trainers with their camels in the dunes. The satisfaction in getting these images is that other than the camels and their riders, there is no other trace of civilization around you. We came across this group more by chance…they suddenly appeared from behind a dune and we had to opportunity to make a few good photos before they again vanished behind another large dune. A few minutes after this the wind picked up, and we soon found ourselves in the middle of a lot of swirling sand, and very reduced visibility. There was really no way in which we could use our cameras without getting sand into them, and so decided to make our way back to our vehicle, all the while protecting our camera gear, while the sand kept getting into our eyes, mouth, hair and clothes. Something a little different from the normal routine day. 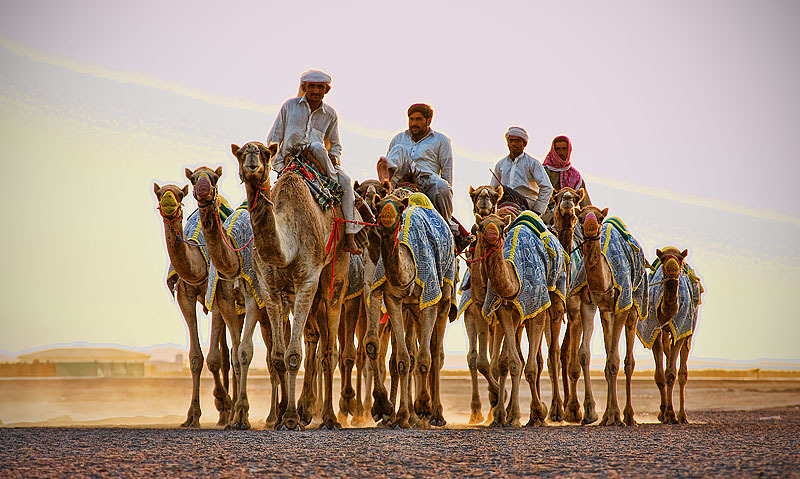 This entry was posted in Tradition & Culture, Travel and Leisure and tagged al ain, Camels, culture, desert, dunes, landscape, nature, riders, sand, tradition, trainer, travel, UAE on October 24, 2013 by pkphotography.